Double Station Grinding Machine is special purpose machine for engine valve groove and stem end chamfer. It can process 2 PCS engine valve at the same time. Using CBN wheel to process. Increase the quantity and efficiency. Suitable for mass production. Double station grinder is special purpose machine for engine valve. It can grind groove and tip radius of engine valve. And it can process two pieces valve at the same time. 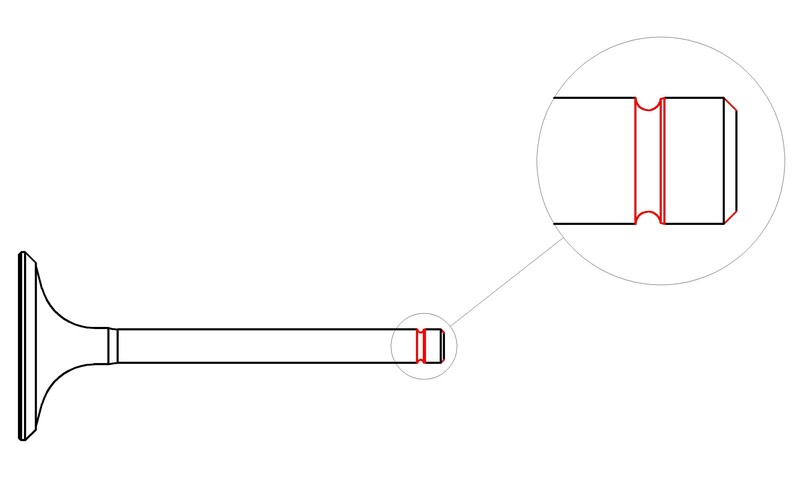 Ranging stem diameter from 5 mm to 8 mm, head diameter from 20 mm to 50 mm, overall length from 80 mm to 150 mm. our euipment is continually upgraded with latest technologies in processing engine valve. Our machines can be single production and also can be connection production. HT250 machine bed and feeding slider, tempering heat treatment to eliminate stress and it is not easy to deformation. Feeding of parts is controlled by double servo motor to achieve the action control of the amount of cutting and automatic cycle. Adjustment the amount of cutting is controlled by touch screen. can set permission passward after commission. Feed guide rail, slider and ball screw are lubricated automatically by electrical filling pupm. All sealed cover except for loading & unloading parts (We can install safety door lock system, it is up to the customer needs). With automatic loading & Unloading mechanism. Double station grinder is special purpose machine for engine valve. it is used to process engine valves (inlet valves and exhasut valves) in cars, motorcycles, trucks, and other engine valves. Q: What's the payment ? Q: How long is the delivery time ? A: 90 Working days after we receive PO and advance payment. Q: How long is the warranty time ? Q: What is the capacity of engine valve production line? A: The capacity of this line is 3500~4000 pieces/8 hour. 7000~8000 pieces/2 shaft/day. The real capacity is up to the size of engine valve and the skill of operator. Q: How Many people are needed from raw material to ready valve? A: We can provide completely engine valve production line from raw material to ready valve. We can alsp provide technical support for processing engine valve. it will need 15~20 people for this line. Our machining line just need 2~3 people. (it is up to the skill of operator). Q: What can we do for customer? 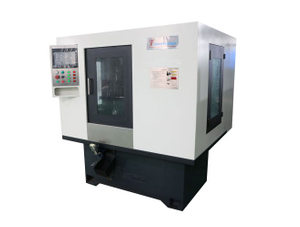 A: Firstly, we are professional manufacturer for cnc engine valve grinding machine. We have more than ten years experience in processing engine valve grinding machine. Our technology adapt Japan and Taiwan technology and through many years innovation, the technology has mature. Now, we have successfully developed fully automatic engine valve production line. And also put into use. Get good praise from our customer. 1. We can set up complete automatic engine valve production line according to customers needs. 2. We can make upgrade proposal according to customer real conditions. 3. Provide technical training for how to operate and install. in our company. of cause, it's free. 4. All machines have one year warranty. Within warranty period, Any questions except for man-made damage we offer the cost. 5. We can set up operation standard, technical guidence. How the small engine valve be made by TJZ machines?